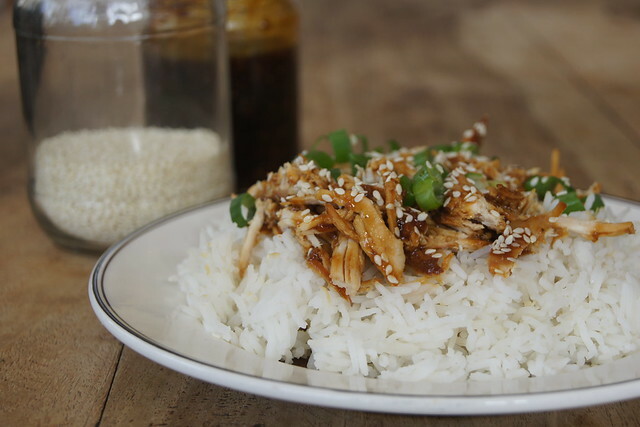 Slow cooker honey sesame chicken (gluten free) + a slow cooker giveaway! 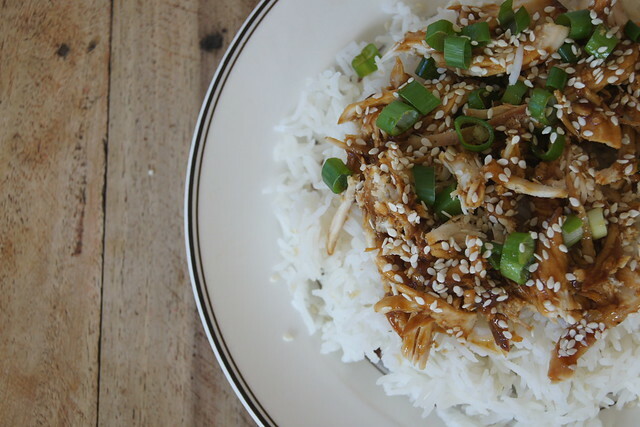 This is a relatively quick slow cooker meal, in that you can cook it on high in 2 hours. It takes only minutes to prep, so perfect for throwing into the slow cooker before school pick up and then have ready when you come in from after school activities. The sauce is the key to this dish and my husband added many a spoonful to his plate! And by using Pureharvest Tamari soy sauce the sauce is gluten free, so perfect for those who are avoiding gluten or have gluten intolerances. There is also no cane sugar added, it is amazing how many items you find have cane sugar added to them, once you start looking. I use arrowroot and water to thicken the sauce. You can find this in the baking section at your supermarket. 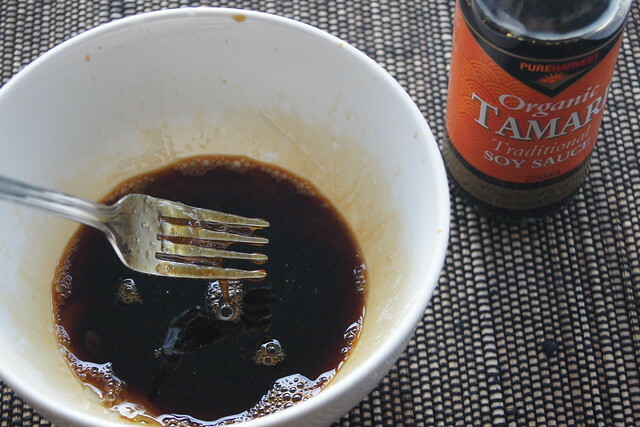 In a small bowl mix Tamari soy sauce, honey, garlic, coconut oil (melted) and salt and pepper and whisk quickly with a fork. Raw honey is quite thick so it takes a little bit of whisking to ensure it is a runny consistency. 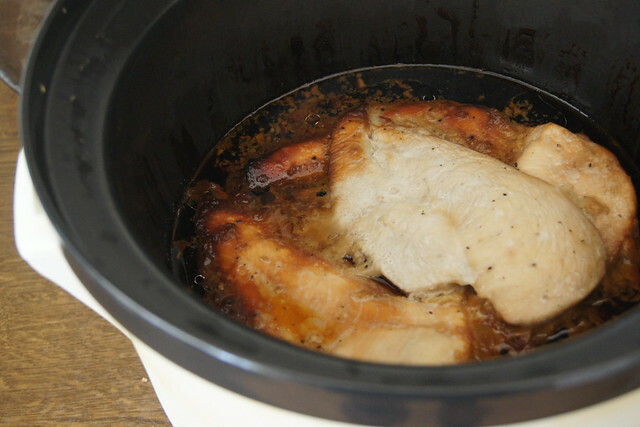 Slice chicken breasts in half width wise and place into the slow cooker. Pour honey mixture onto the chicken and then cook on low for 3-4 hours, or high for 2 hours. If you wish to serve with rice, start cooking this 15 minutes before the chicken is due to finish cooking. Once the chicken is cooked, remove the chicken from the slow cooker and place it into a large dish. Keep the slow cooker turned on and make sure it is on high. 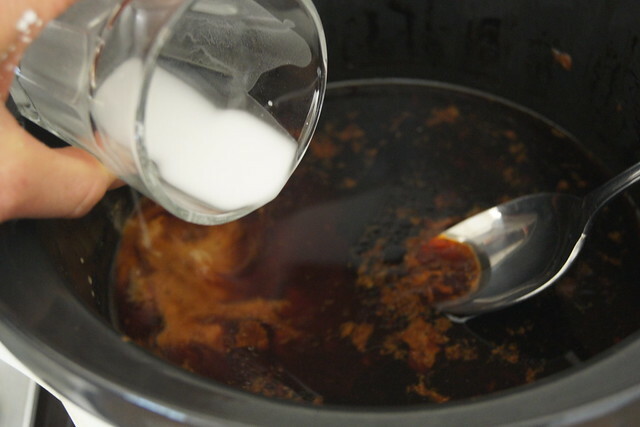 In a glass or small bowl add the arrowroot and water and mix well. Pour this into the slow cooker and stir well. To ensure the sauce thickens leave the sauce to cook for about 10 minutes, Stir about three times during this cooking process to make sure it thickens evenly. 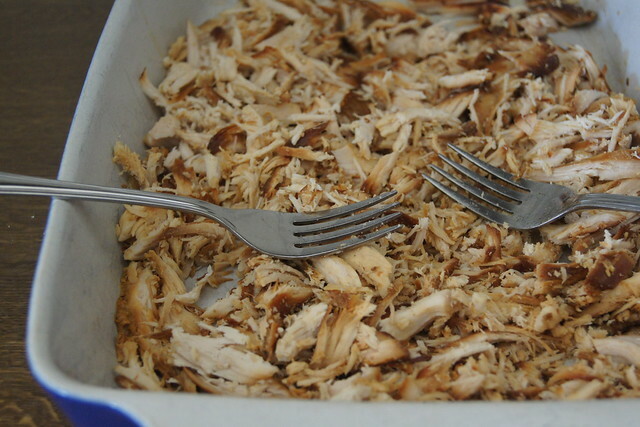 While the sauce is cooking, use two forks and shred the chicken. Finely chop the spring onions and sprinkle on the chicken. Sprinkle on the sesame seeds, serve and enjoy! Enter below and tell us what your favourite slow cooker dish is to be in the running. Good luck! I am playing with my shopping strategy again and now planning from Monday to Sunday. I will write more about this after I have tested it our for a few weeks!